Sânmărtean, the man who will lead us to the World Cup! It’s just a dream, but it could be the perfect reward for a player that never reached the maximum potential given by his huge talent. He is almost 32 by now, but I am sure that nothing can stop him from becoming one of the legends of Romanian football. 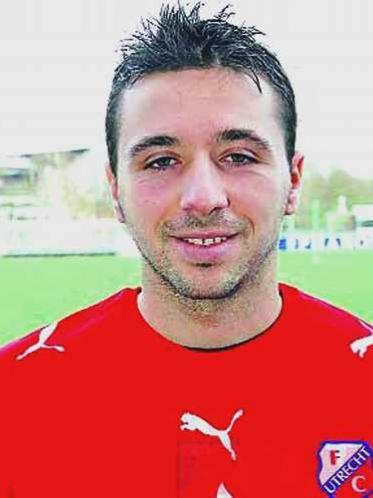 Lucian Iulian Sânmărtean was born on 13th of March 1980, in Bistriţa and although he wasn’t very interested in football when he was little, as he personally recognized, at the age of six the story begun. A youth coach from Gloria Bistrita, named Constantin Sava, spotted him while playing football in the school yard and was amazed by his outstanding skills. So, Lucian started on playing and at the age of 19 he appeared for the first time in the national league, when he entered as a substitute, in Bistrita’s 3-1 winner against FC Onesti and despite being a right foot player he is better playing on the left side of the field. As years past, Sânmărtean became one of Bistrita’s most important men and helped his team to win the Romanian League Cup, the second and last edition, in 2000, when he put in a penalty in the shootout against FCM Bacau. In that year he made also his debut in the national football team of Romania. Otherwise, the midfielder became a key player in the 2002-2003 campaign, which Bistrita finished third, the best spot in their history. He scored in that stage seven goals, the best in his career, but at the half way of the season he was very close to leave Gloria as Rapid nearly took him for 250 thousand euro. The player went with the team from Bucharest in the Antalya stage, but suddenly, Mircea Rednic, Rapids’ coach from those days told that Lucian wasn’t ready to cover both offensive and defensive fazes and so he supposed he had some health problems which didn’t let him to make sufficient effort. Officially, he was diagnosed with hepatitis B and D and the transfer failed. After returning to Bistrita, this diagnosis disappeared and Lucian continued on playing and led Gloria to the performances mentioned above. Rapids’ officials react so, because they didn’t want the fans to get mad, when they realized that the only problem was that Rapid wouldn’t want to pay the asked fee. And the fans didn’t say a word because their team won at the end of that season the fourth and last, until 2012, Romanian title. Sadly, Rapid didn’t have him, despite Lucian’s affinity for the team’s fans, which he considers unique in Romania, as they chanted out loud his name, when he came and play with Gloria on Giulesti. The problem was for him that during this medical fictive problem he lost the contact with the national team. Still, he returned short after in that year, to complete another two caps. The last ones for a long time. At Bistrita Sânmărtean felt great and after the performances from the League he also helped his team to perform very good in the UEFA Intertoto Cup, where he scored three goals, including one against Brescia. 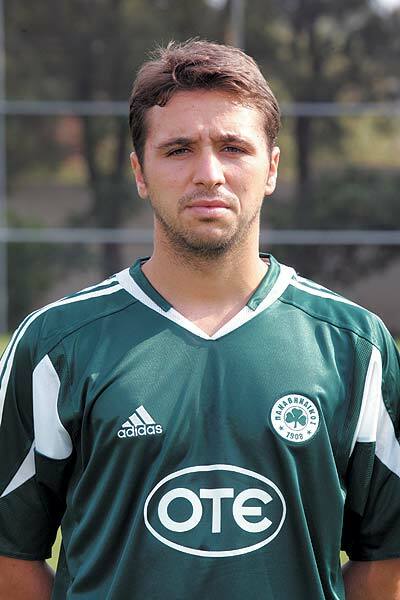 At that game, scouters from Panathinaikos were present and the Greeks agreed to transfer the player for a fee of 900 thousand euro, even though in Romania it was reported at some point only one of 600. Panathinaikos didn’t won the title for seven years and the supporters expected some great names, from which even Bergkamp was spoken. So, the arrival of Lucian made them mad. The Romanian hold still and did what he knew best and at the end of his first season there, the club from Athens won both the league and the cup and Sânmărtean was one of the most important footballers. Unfortunatelly, in the next year the nightmare begun. Some injuries and a conflict with the new coach, Alberto Malesani, put him out of the squad for a long time. All, despite what Malesani said when he arrived, pointing at Lucian: “Here, you have a great talent. Make sure you’ll serve him with all the balls you can, because he’ll knew what to do with them”. In the early days of 2007, he left and signed with the Dutch side of Utrecht. He was close to take an agreement with AZ, but eventually chose different. He started very well, even though he didn’t score a single goal, Ajax and PSV were very interested in him. Suddenly, another avalanche of injures stuck his career again and Lucian agreed to leave the team. He was by now nearly 29 and he was very close to go into a depression, as he saw all his work break apart. He believed he was cursed, because he tried to do whatever he can to prevent all the bad luck. No team wanted him and he didn’t stop training only because of his wife, the former athlete, Maria Rus. In February 2009, he signed with Gloria again a short-term contract, that allowed him to leave whenever somebody paid 50 thousand euro for him. He started playing better as games passed, but after a year another big problem occurred as he argued with his trainer, Florin Halagian, who accused him that he took a red card on purpose to betray his team-mates. He was put on the transfer list and soon offers came. Steaua and Gaz Metan tried to sign him, but his financial demands were unacceptable by those teams. So, Adrian Porumboiu offered him a two and a half years contract at FC Vaslui which is said to be somewhere around 400 thousand euro per year! But Lucian deserved all this money, if we considered what have he done in the last two years in Moldavia. 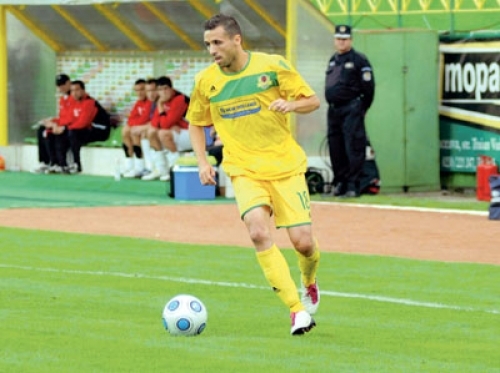 A few days after his arrival at Vaslui, where he received the number 18 jersey, his brother, Dinu, joined the squad. 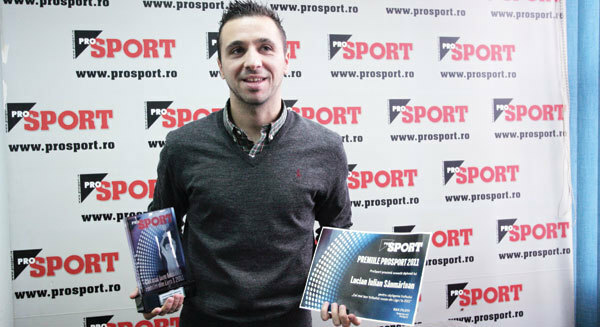 In his first season there, Lucian performed brilliantly and helped Vaslui to reach their first ever Romanian Cup final. Against CFR, Sânmărtean was changed at half break, because of an injury and his team mates couldn’t last to win the trophy, failing to resist in the penalty shootout. Also, Vaslui finished on the third spot of Liga I, the best in their history until than and I’m saying that, because the Moldavians repeated the performance in the following season. The 2009-2010 also represented a memorable one for Lucian, as it was the first, from the last six in which he didn’t suffered any major injury. At the end of the last season, 2010-2011, he won a personal award, as he was the player with the most assists from Liga I: 10. The third place turned out to be in fact second, as Poli Timisoara, the vice-champion, was relegated. After failing to qualify for the UEFA Champions’ League group stage, being put out by Twente, Vaslui made it to the Europe League group stage, for the first time in their history, after eliminating the powerful Sparta Prague. The key moment was the home match, played at Piatra Neamt and in which Sânmărtean was far the best player from the field, as he contributed to both goals. He played in all Vaslui’s European matches and also performed extraordinary in the team’s victory with 1-0, against Sporting Lisbon. Unfortunately, the Romanians didn’t qualified from the groups, but the midfielder gathered 10 European matches, nearly the number that he has played in all his career until now. Also, his great form from Vaslui wasn’t omitted by the former coach of the national football team, which recalled him and introduced him in the starting line-up against Bosnia even though he didn’t play in the first representative for eight years! But that didn’t represent a problem, as Lucian participated in his nation’s 3-0 crushing victory over Bosnia. He was also called by Piturca to play against Belarus and Albania, but he couldn’t help the squad to qualify for the European Championship. That’s why I’m willing to believe that Sânmărtean will play a main role in the next qualifying campaign, for the World Cup from Brazil in 2014. He will be 34 by then, but that doesn’t stop him to take his revenge and score his first goals for the national football team and brought us huge victories. It is my dream and also it will be a perfect happy end after a career filled with bad luck. I don’t care of those who say that Turkey and Hungary are better than us. Our football is in collapse and surely it will get worse, but in these years we still have Mutu, Sânmărtean, Săpunaru or Goian, so we have to belive in our chances! Acest articol a fost publicat în Campioni și etichetat 7 goals, Belarus, Bosnia, Brescia, Constantin Sava, FC Onesti, FC Utrecht, FC Vaslui, Gloria Bistrița, hepatitis, Lucian Sanmartean, Mircea Rednic, Panathinaikos Atena, Panathinaikos Athens, Rapid Bucharest, România, Sparta Prague, World Cup. Pune un semn de carte cu legătura permanentă.